How do people find apartments on Google? Nearly three years ago we published a post about how internet listing services are dying. Our argument was based in a mixture of data from J Turner showing a dropoff in preferences for ILS use amongst multifamily customers and in a simple acknowledgement of how tech works today: Listing services are just a directory of apartments in an area. Google can replicate that very easily and they can do it directly on the search result page. The way they do this is through something called a local pack. 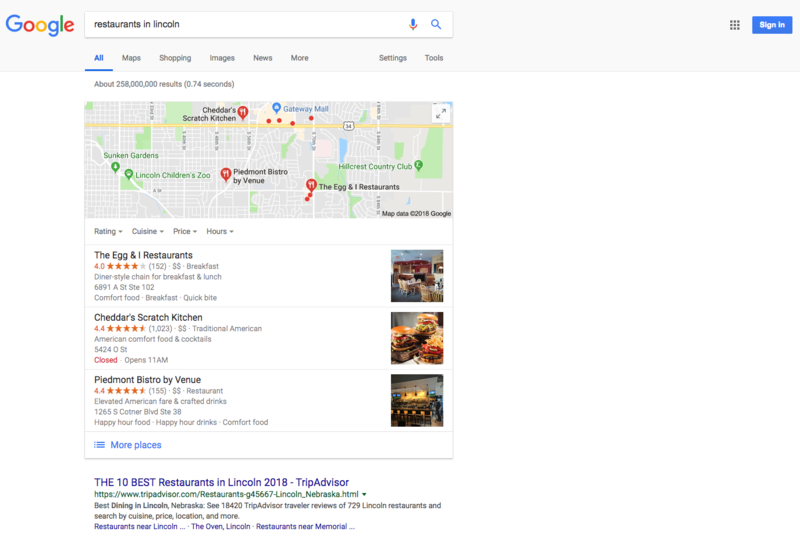 With a local pack, Google takes their Google My Business listings for that industry and pulls them into a small pack of results that they then display to the user. Google uses these local packs as a way to directly answer their user's need on the search page itself. Think about this from Google's perspective: Ultimately, their business is giving people what they need when they are searching for information. Traditionally this was done by linking to authoritative websites with blue organic search links on the search result page. This is the model we all know. But is it the best model for Google? The answer: No. In fact, it's a bad model for Google. Google makes money by advertising to people who use their services. But when they send someone off a Google web property to another part of the internet, they lose the ability to advertise to them. If they keep them in Google's suite of web products, they can keep showing them ads. But it's not just that they can keep showing you ads as long as you're using their products. They can also observe and record your behavior while you're in their suite of products, which gives them more information about you and allows them to build a stronger profile to sell to advertisers, thereby driving up the cost of ads as well. Simply by keeping you on the Google SERP (or in Maps) for a bit longer, Google can make more money both by showing more ads and by showing more expensive ads. Google hasn't displayed these results in multifamily for several years for the simple reason that a lot of multifamily Google My Business listings are unreliable. Communities do not manage their listings well and, as a result, listings are often incomplete or have inaccurate data. Since Google's first priority is giving searchers useful information, they've defaulted to displaying ILS's rather than their own Google My Business listings. But if you followed Google at all you knew this was a short-term situation; they were always going to eventually expand the local pack into the multifamily industry. And when they did, it would be really bad for listing services. We aren't the only folks in the industry saying this either. The question has always been when Google would start rolling out local packs on apartment listings. Well, the day has come. But it appears that Google is doing a gradual roll out. Here's what we're seeing. Let's start with some smaller metro areas. Here's the SERP we saw this week when testing "apartments in lincoln", which is RentVision's home town. So if you look at this, you'll see one listing service on top in the Ads, two organic results pointing you to listing services (though only one is a classic multifamily ILS; the other is Zillow), and then a local pack of results. The typical SERP result we're seeing with these smaller metro areas is a few ads, an organic result or two (pointing to ILS's) and then the local pack. We've seen similar things when testing other large metros like Phoenix, Dallas, Philadelphia, etc. 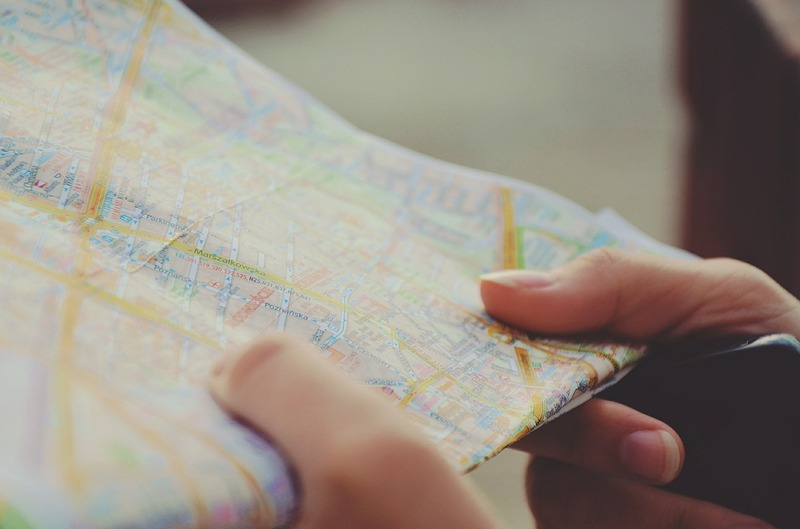 What happens when Google rolls out a local pack on the SERP? The overall trend we're seeing on Google is that more and more people are using the search engine and finding what they need on the search result page. This means that they never actually click on anything on the page: They look at the page, find what they need and move on. As you can see, nearly two-thirds of mobile searches are ending without any clicks. They find the information they need, make a call (maybe), and are done. This is basically Google's way of saying "we are so confident we know what you're looking for that we are only showing you one thing." Note what this new SERP design leaves out: There are no organic links here at all. Multifamily is likely never going to go that extreme, but it's worth recognizing what Google is trying to do. What does this mean for listing services? It means that the name of the game in ILS's today is "get big or get out." This is probably partly why we have seen so many acquisitions in that space lately and why fewer and fewer companies own more and more listing services. They know the industry can't carry as many listing services as it once did and they're consolidating. But this should mean something for your community as well: Are you still spending money on three or more listing services? If so, you're probably not getting nearly the ROI that you once did. This is especially true in the smaller metros where we are seeing the local packs. If you're an ILS in one of those cities and you're not showing up in those organic slots above the local pack, then you're in trouble. And if you're paying one of those losing ILS's money, you may as well just light it on fire for all the good it's doing you. The biggest competitor for ILS's has never been other marketing vendors or even Craigslist. It's always been Google. Google can match the exact service that ILS's provide, they can do it for free, and they can do it while reaching a far larger audience. The only question has been when Google would feel confident enough about the quality of their Google My Business listings in the multifamily industry to roll out the local pack on apartment-related searches. It certainly looks like they are hitting that confidence point now. And as they become even more confident, we will likely begin to see the local pack on search results in larger metros as well. We'll be discussing these changes more in the weeks to come so check back in with us as we'll be doing some data analysis and strategizing about how your marketing approach should change as we look toward a post-ILS multifamily industry.